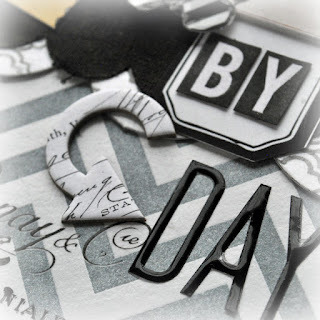 I am over at HeidiSwapp.com today sharing my latest journal inspiration. Hope you will hop over and check out the details there. But here today I share the step by step for this art journal-mix media inspired book. But here I will share with you the how of the book. Ready for a little bit of eye candy? This journal starts with a Mini Memory File + Chipboard Memory File. 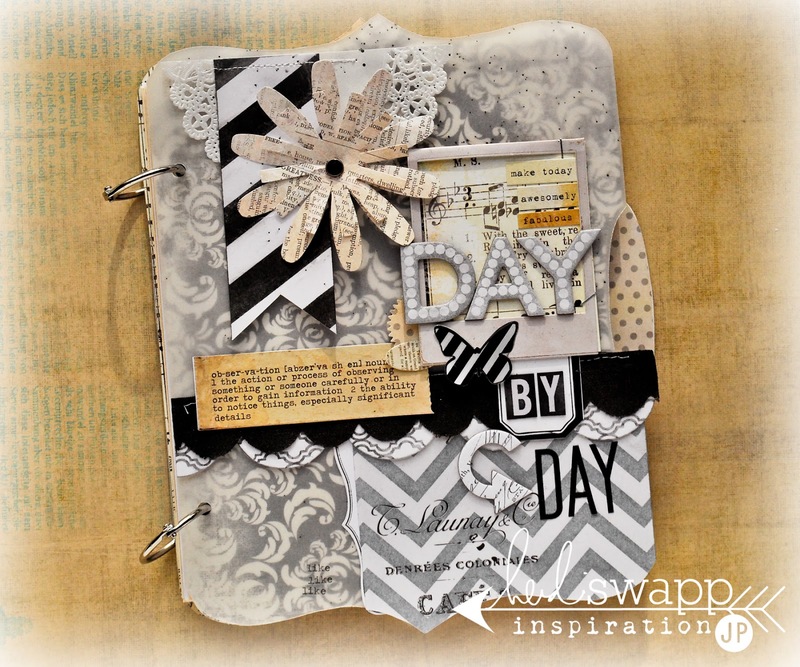 These items are so versatile and this is not the first time I have made journals with them. Today I will share with you the details of the cover. And tomorrow I hope you will come back and see how I really personalize the inside and make this such an important go-to book in my day. 1.Cut Mini Memory File in half. 2.Cut Chipboard Memory File in half to match Mini Memory File. 3. Attach Mini Memory File to front half of cut Chipboard Memory File. Do same for back portion. 4. 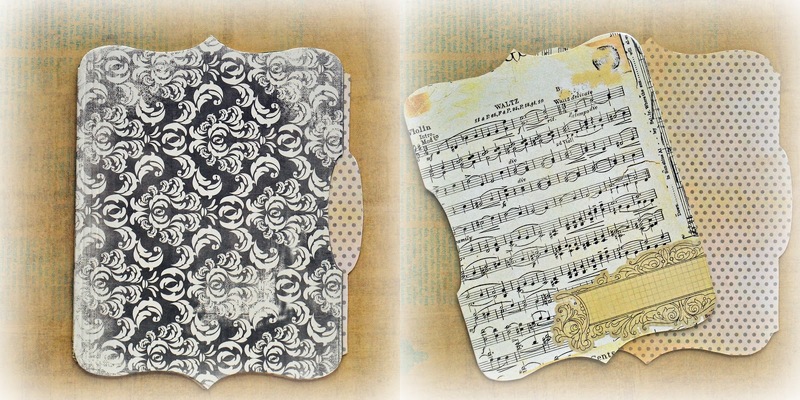 Cover inside of Chipboard Memory File with Vintage Chic paper in Just Dots and Beautiful Songs. 5. Trim piece of vellum to shape of front cover. 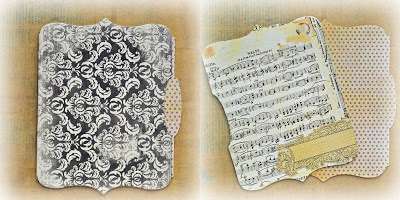 I adore the pattern of the black damask Mini Memory File...but I wanted it to be a bit subtle. So all the elements are attached to the vellum. 6. Sew doily and notched Color Magic Paper top left corner. 7. Spray Black Velvet Color Shine on vellum. 8. Place rhinestone brad through middle of two Flower Trimmings. 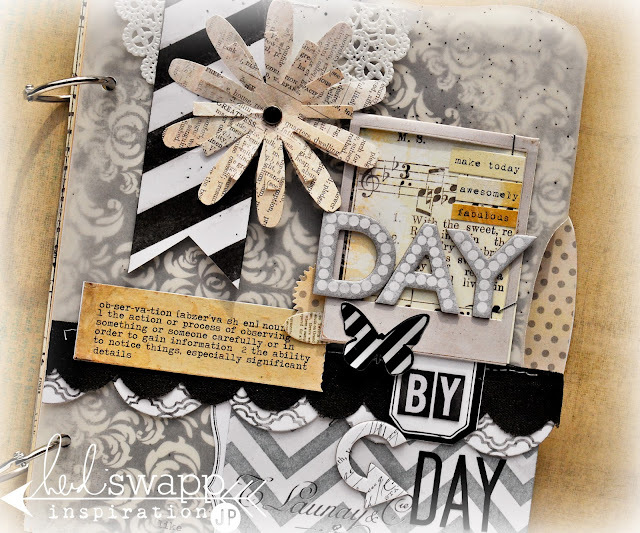 Adhere to layer on top of doily and notched banner. 9. 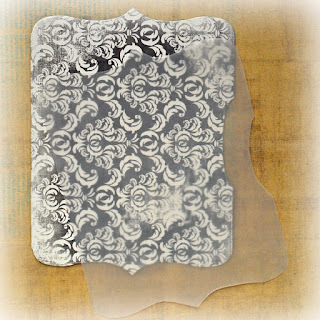 Spray a piece of Color Magic Paper with Tinsel Color Shine. Adhere to lower right corner of vellum. Trim off extra. 10. 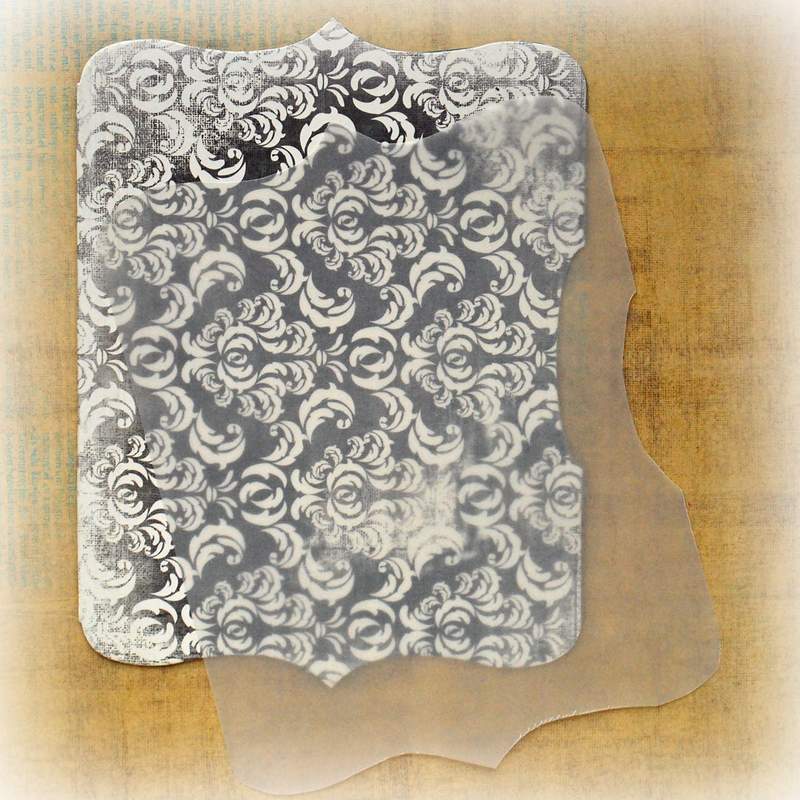 Spray scalloped Banner Delights with Black Velvet Color Shine. Overlap the Color Magic Paper. 11. 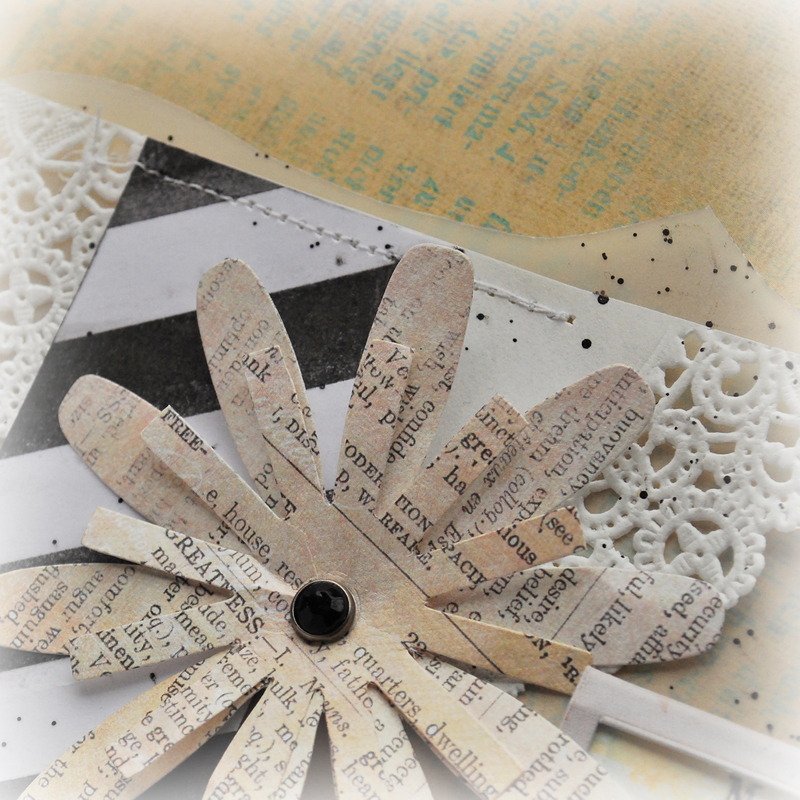 Spray scallop Artisan Ribbon in Black Velvet Color Shine. Sew on vellum overlapping the Banner Delights. 12. 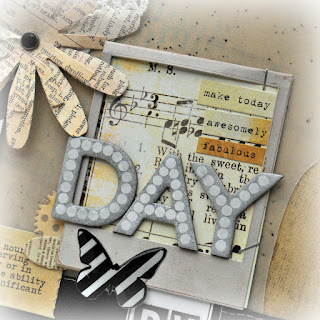 Insert piece of Beautiful Songs pattern paper inside Mini Instaframe. Staple to vellum. Cut up a Sentiment Sticker and place inside Mini Instaframe. 13. 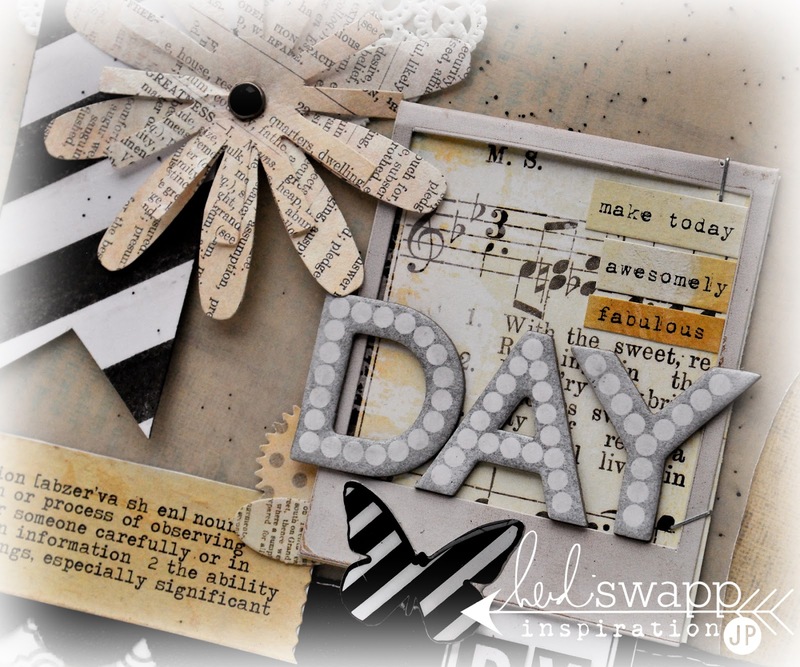 Spray Chipboard Alpha to spell the word “DAY’ with Tinsel Color Shine. Attach to sit inside the Mini Instaframe. 14. Color Letterbox Alpha with Black Velvet Color Shine. Print a black Color Label from the Digital Shop. Attach Letterbox Alpha’s to label and tuck under Mini Instaframe to attach. 15. 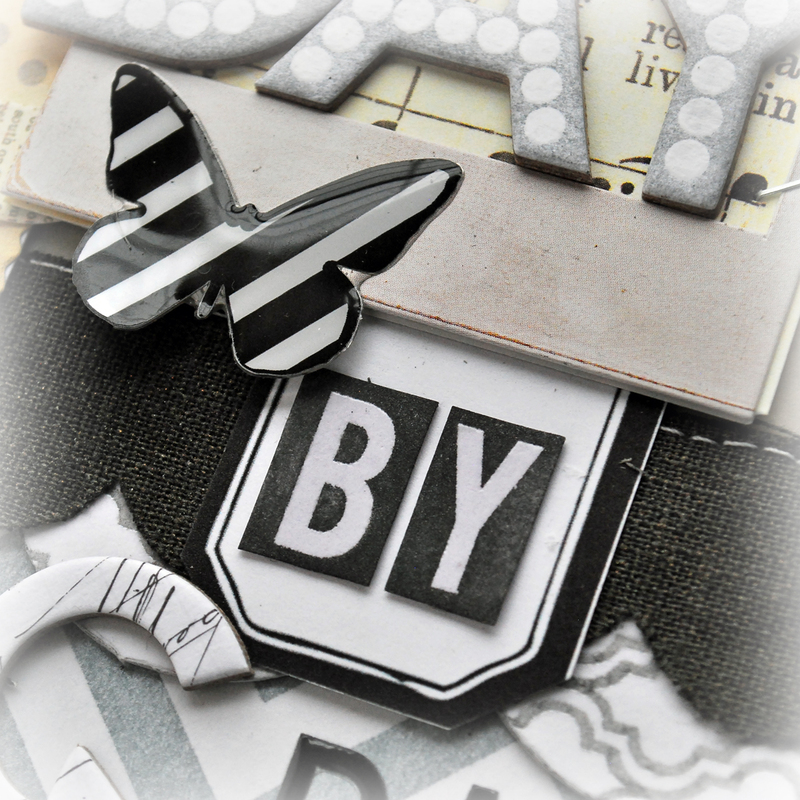 Place Buzzwords butterfly on Mini Instaframe. 16. 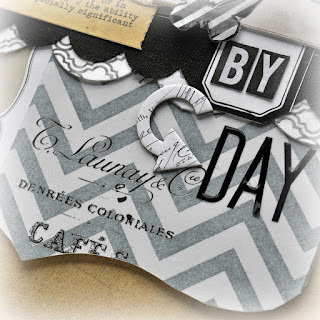 Add an Artisan Chipboard Arrow to cover. Keep white. 17. Place "DAY" Black & White Stickers next to Chipboard Arrow. Fill inside with filler paper. I use 65 lb presentation card stock from the office supply store. 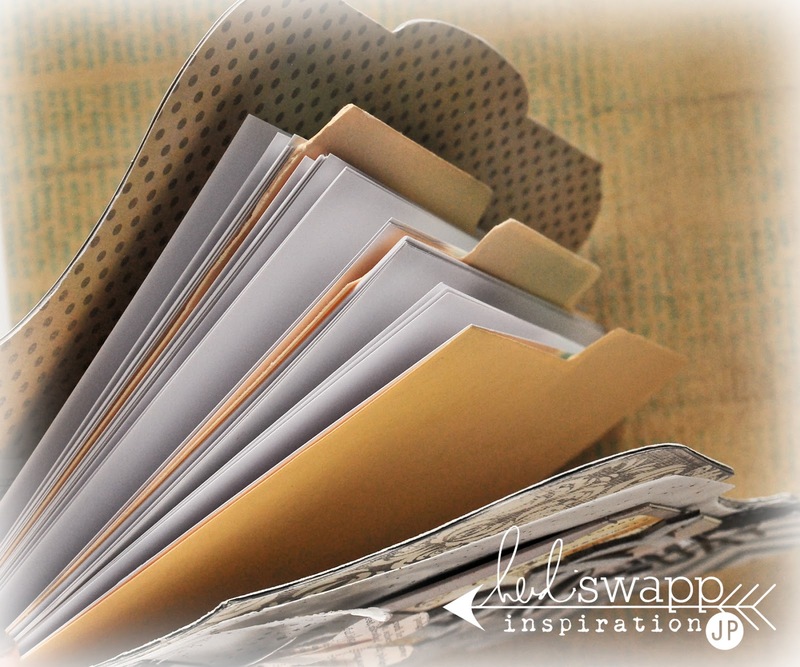 Separate the months with manila folders trimmed to fit book size. Punch holes on edge and use ring binders to hold. More details tomorrow on what's inside. Jamie...you have inspired me to start journaling - after I CASE this book from you. I love Heidi's things and this would fit my lifestyle. I'll be back tomorrow for more! Thanks for sharing! Fabulously wonderful! Adore everything about your project. Wonderful! Thank you for this BE-U-TI-FUL work of inspiration! Love it!